This compilation, curated by the members of Daniel Ellsworth & The Great Lakes, features 20 songs that offer up some of the best from Nashville's growing indie rock music scene. In a city historically known for country music, the longstanding indie rock scene in Nashville has recently gained more recognition thanks to the likes of local residents Jack White and The Black Keys. "We wanted to do something that really showcased some of Nashville's best indie music ," said frontman Daniel Ellsworth. "We wanted to let everyone outside of Nashville in on all the amazingness that's going on here right now. We're super excited to be releasing this compilation. I t's filled with some of our favorite bands and artists - and most importantly - some of our favorite people. " Bassist Marshall Skinner continued, "The Nashville music community has always been about supporting what other people are doing, and that's what this compilation is all about. This is just the tip of the iceberg, too. There's so much amazing music here, we can't fit it all on one compilation. 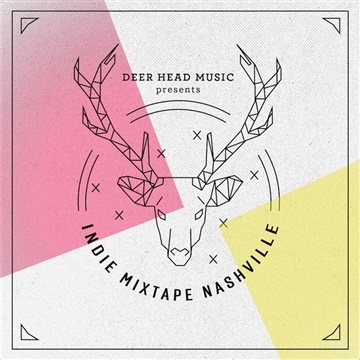 Our plan is to continue releasing these mixtapes filled with the best Nashville has to offer. We hope you love all these bands and artists as much as we do, and if you discover something new that you love, do us a favor and pass it on!"